By: Lime Green Giraffe Photography Editor, Zora F.
BREAKING NEWS: Did you hear that Girl Scouts of Greater Atlanta just exclusively released their new robotics STEM Badges. There are now STEM Journeys and STEM Badges at every level from Daisies to Ambassadors. I am so excited to try these out! One of the badges and journeys that really caught our eyes is the Computer Science journey and the Space Science badge and we can't wait to get our hands on them! Did you know that there are robotics teams within Girl Scouts? I’m happy to say that my robotics team “Engineering Vigorously Everyday” EVE is NOW sponsored by Girl Scouts of Greater Atlanta. 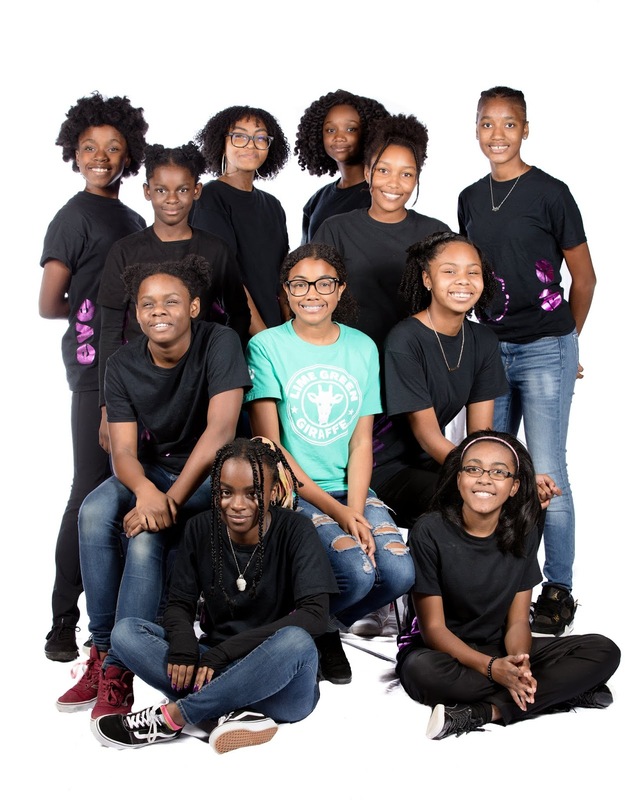 Being on an African American all girls robotics team is really AWESOME! One reason it is important is because there are not a lot of girls in STEM. Also there only a small percentage of people in engineering and STEM fields are African American. There are two main parts on our team of thirteen. We are divided into builders and programers. Everyone gets to build, but the programmers are chosen based on their interest in coding. The best part of robotics is just meeting people in general, because I have made friends with some of the most amazing girls in robotics. Their Vision is to "To transform our culture by creating a world where science and technology are celebrated and where young people dream of becoming science and technology leaders." Dean Kamen, Founder. Today, there are many programs like Girls Scouts showing all girls around the world that if you put your mind to something you can achieve it. To all the wonderful girls who have read this article, I want to encourage you to go and find a local STEM program near you so you can broaden your horizons and reach for the skies. I encourage you to jump into STEM with Girl Scouts, but here are some of our community partners that focus on STEM too - Girls Who Code, Women In Technology, 100 Girls of Code, Made With Code, and Black Girls Code.